BirdStoppers is pleased to offer our IAPD and IPRA customers the latest and greatest technology in bird control repellent methods. These new bird control products were introduced for the first time at the 2015 IAPD/IPRA show in Chicago. 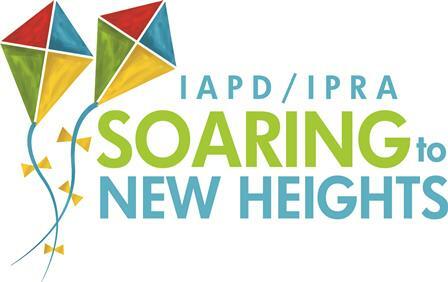 IAPD/IPRA members will receive a special discount on any of the new products listed below on their first order. To receive your special discount code please email us at IAPD-IPRA2015@birdstoppers.com. You can also complete the contact form below and we will email you the discount code, which expires on December, 31 2015 and is applicable to first time orders only. BirdStoppers would like to help our park districts and recreational facilities stay bird free. We featured our Portable Moby Hazer at the conference to repel geese. The reception for this new bird hazer technology was outstanding. If you are currently having trouble repelling geese or other birds in your district and would like a free demonstration, please complete our contact form below or call us directly to schedule an appointment. Let's soar to new heights together! Portable Moby Bird HazerPortable and sleek bird hazer is ideal for chasing geese and other birds away from any location! Tweetzilla Bird Control HazerBird haze generator is ideal for bird dispersal in populated areas for indoor and outdoor use! Flock Off! Bird GelEco-friendly perch inhibitor for residential use makes surfaces sticky and undesirable for birds to land on. Sting 'Em Bird GelSting 'Em Bird Gel is a roost inhibitor that makes landing surfaces sticky and irritable to pest birds. Works on many animals, too. Pallet ProtectorShock pad sends harmless, low voltage shock to birds and rodents to protect pallets. Umbrella ProtectorProtect any umbrella from birds with this low-voltage, solar-powered shock pad. Bird BopperVisual bird scare, heavy-duty vinyl balloon whips around in the wind scaring off pest birds. Flock ReflectorWind driven, visual deterrent disorients birds as it reflects light at multiple angles while it spins. Broadband ProOffers both sonic sounds and ultrasonic pulses to evict pest birds. 3 acre coverage. Super BirdXPeller ProSonic bird repeller uses natural distress calls for bird control protection in large outdoor areas. BirdNet Premium3/4" Premium grade netting is a permanent physical barrier solution for large commercial projects. Stainless Steel Bird SpikesSteel bird spikes physically prevent pest birds from roosting on landing surfaces like rooftops, ledges, etc. Request a Bird Hazer demonstration? We will contact you to schedule a free demonstration.